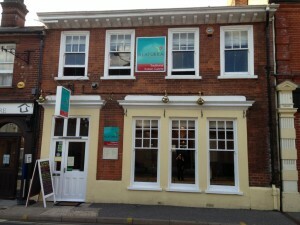 Since first opening in 2011, Alaturka has reigned as one of Ipswich’s most popular dining experience. At Alaturka, you will find a rich tapestry of tastes and pleasures all perfected in the Sultans’ kitchens from the Ottoman era. Fresh meat, fish and poultry is traditionally prepared with authentic herbs and spices and cooked upon order by fine healthy cooking chefs paying particular attention to authentic taste and presentation. Based in the Ipswich town centre, Alaturka is the only traditional Turkish restaurant in the area, and will give you a very tasty introduction to the gourmet cuisine of this exciting and charismatic country. Family and friends are at the heart of every Turkish meal, where the sharing of food and discussion around the table brings people closer together. Here in this relaxed and happy family, friendly atmosphere you can taste the finest meals that will make you want to come back time and time again. If you are planning a special occasion or organising a party, Alaturka offers a unique function room for parties, dinners and celebrations at no extra cost. Alaturka has been announced as a runner-up in the Ipswich Independents’ Competition, run by Ipswich Central in conjunction with the Ipswich Star, for 2013. Alaturka has also earned a ‘Certificate of Excellence’ from Trip Advisor, an independent reviews website which has defined Alaturka as a great restaurant in ipswich. 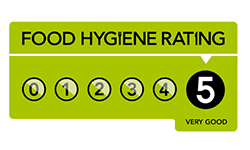 We are also proud to announce that not only do we go to great lengths to provide great cuisine, but our restaurant has also been awarded a 5-star Food Hygiene Rating by Ipswich Borough Council. This brings Alaturka into the councils Top Rated Guide which can be found on the Ipswich Borough Council website.